SPIE Defense & Commercial Sensing – 14-18 April 2019, Baltimore, MD USA. Quad-A (Army Aviation Association of America) – 14-18 April 2019, Gaylord Opryland Hotel & Convention Center, Nashville, TN. USA. AEROMART Montreal – 16-18 April 2019 – Palais des Congrès de Montréal, Canada. Securex West Africa – 16-17 April 2019, Lagos, Nigeria. 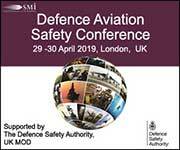 Counter UAS – 16-18 April 2019, Hilton London kensington, London, UK. Aeromart Aerospace Business Convention – 17-19 April 2019, Sacheon, South Korea. Secutech India – 25-27 April 2019, Mumbai Exhibition Center, Mumbai, India. FAMEX – Feria Aerospacial Mexico – 24-27 April 2019, Mexico City, Mexico. 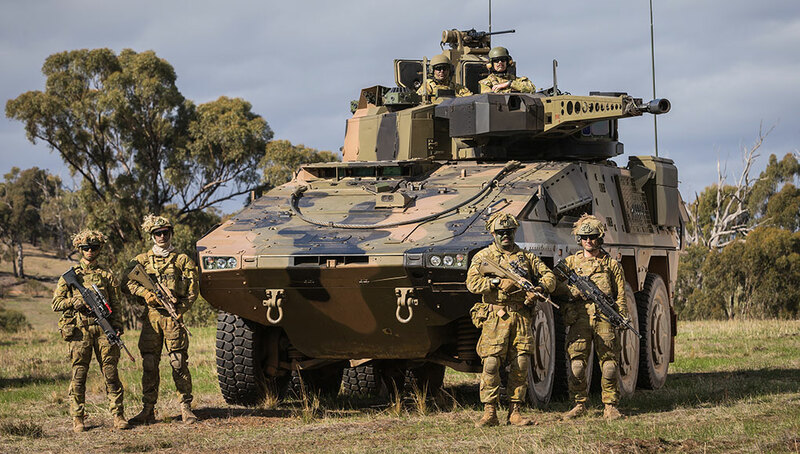 Future Ground Combat Vehicles – 29 April – 1 May, 2019, Detroit, MI, USA. 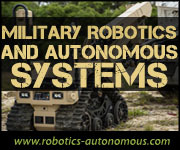 Xponential 2019 (AUVSI) – 29 April – 2 May 2019, McCormick Place, Chicago, IL, USA. IDEF International Defense Industry Fair – 30 April – 3 May 2019, Tuyap Expo Center, Istanbul, Turkey. NCT CBRNE USA -7-9 May 2019, Hilton Dulles Hotel, Dulles, VA USA. Unmanned Maritime Systems Technology 2019 – 8-9 May 2019, Copthorne Tara Hotel, London, UK. EUROPOLTECH 2019 – 8-10 May 2019, Warszawskie Centrum, Warsaw, Poland. UDT Europe 2019 – 13-15 May 2019, Stockholmsmässan – Stockholm International Fairs, Stockholm, Sweden. Future Artillery – 13-15 May 2019, Chelsea Football Club, London, UK. EW Europe 2019 – 13-15 May 2019, Stockholmsmässan – Stockholm International Fairs, Stockholm, Sweden. IMDEX ASIA 2019 – 14-16 May 2019 – Singapore. ITEC 2019 – 14-16 May 2019, Stockholmsmässan – Stockholm International Fairs, Stockholm, Sweden. SECUREX South Africa 2019 – 14-16 May 2019, Gallagher Convention Centre, Johannesburg, South Africa. HELIRUSSIA 2019 – 16-18 May 2019, Crocus Expo, Moscow, Russia. 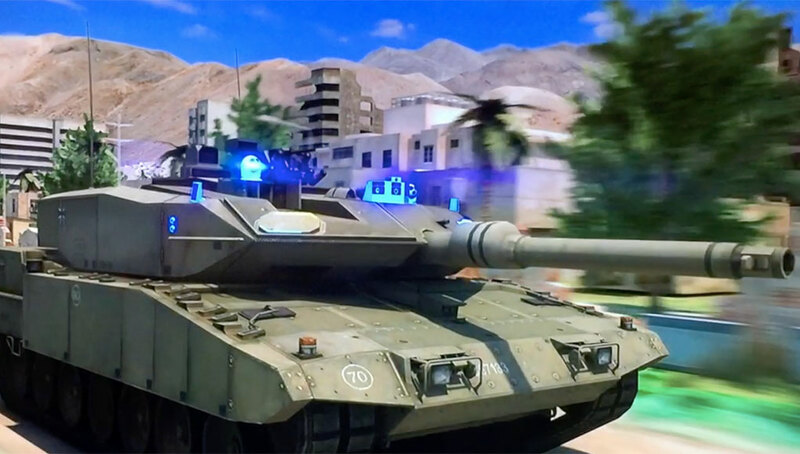 SITDEF 2019 – 16-19 May 2019, Army HQ, San Borja, Lima, Peru. SOFIC 2019 – 21-23 May 2019, Tampa Convention Center, Tampa, FL, USA. 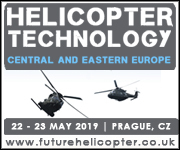 Helicopter Technology Central and Eastern Europe – 22-23 May 2019, Radlicka 1g, 150 00, Prague, Czech Republic. 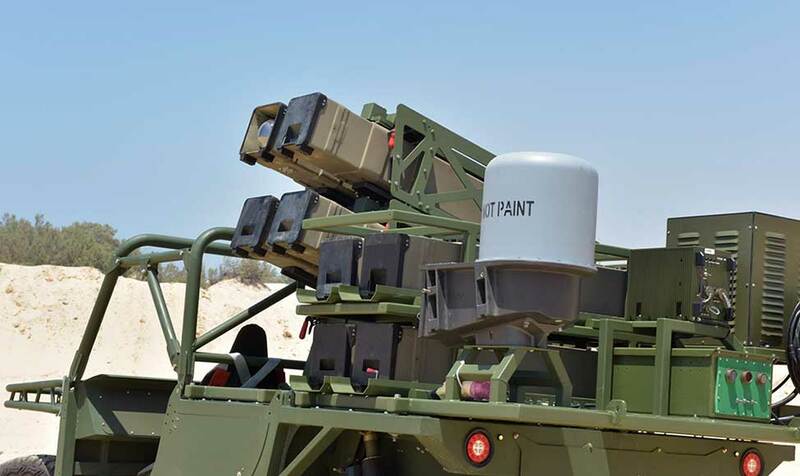 Full Spectrum Air Defence Asia – 28-30 May 2019 – Novotel Singapore Clarke Quay, Singapore. 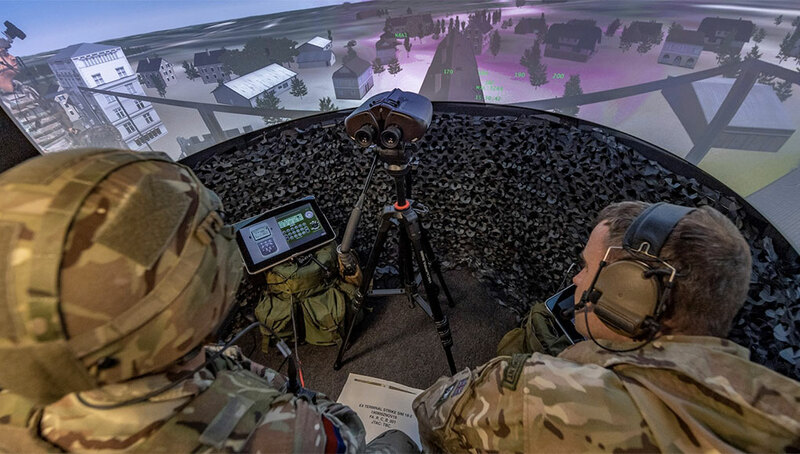 Land ISR & C2 Battle Management – 28-30 May 2019 – Copthorne Tara Hotel, London, UK. Space Operations – 28-30 May 2019 – Copthorne Tara Hotel, London, UK. 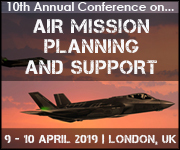 Close Air Support – 28-30 May 2019 – Copthorne Tara Hotel, London, UK. IDET 2019 – 29-31 May 2019 – Veletrhy, Brno, Czech Republic. 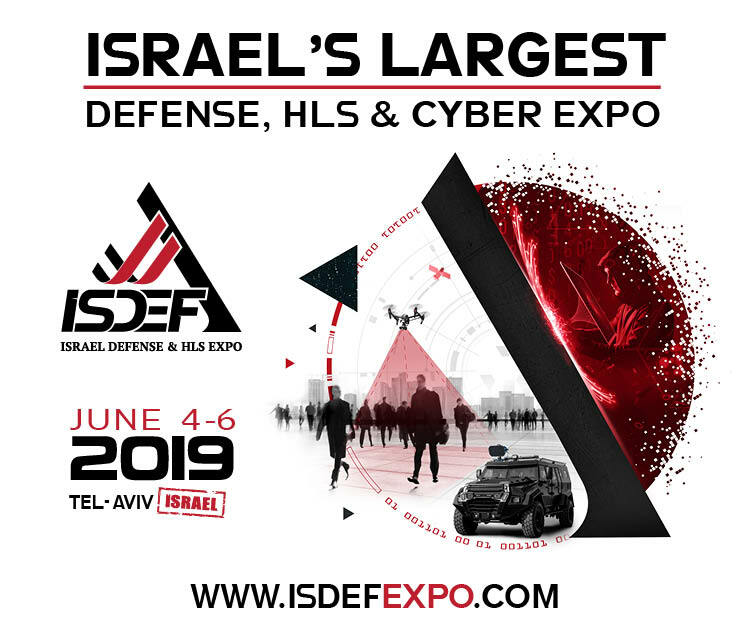 ISDEF 2019 – 4-6, June 2019, Tel-Aviv Exhibition Center, Tel-Aviv, Israel. 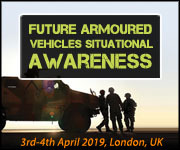 Future Armoured Vehicles – Weapon Systems – 5-6 June 2019, Copthorne Tara Hotel, London, UK. Close Air Support – 5-6 June 2019, CCopthorneTara Hotel, London, UK. MAST (Maritime Systems & Technology) – 10-12 June, 2019 – Tokyo, Japan. 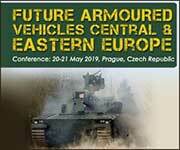 Future Armored Vehicles – Active Protection Systems – 11-12 June 2019, Hilton Arlington Arlington VA, USA. 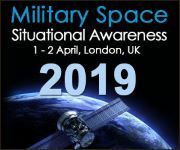 Military Space USA – 11-12 June 2019, Ranaissance LA, Los Angeles, CA, USA. AIAA Forum – 14-16 June 2019, Hilton Anatole, Dallas TX, USA. Paris Air Show – 17-23 June 2019, Le Bourget, Paris, France. IFSEC 2019 – 18-20 June 2019, ExCel, London, UK. 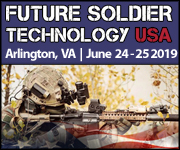 Future Soldier Technology USA – 24-25 June 2019, Hilton Arlington, Arlington, VA, USA. MILSATCOM USA – 24-25 June 2019, Hilton Arlington, Arlington, VA, USA. Coastal & Maritime Surveillance Africa – 25-26 June 2019, Lagos, Nigeria. West Africa National Security & Armored Vehicles – 25-26 June 2019, Lagos, Nigeria. Anti-Submarine Warfare – 25-26 June 2019, Hilton Wembley, London, UK. International Armored Vehicles USA – 25-27 June 2019, Four Seasons Hotel, Austin, TX USA. Partner Defense Expo – 25-28 June 2019, Belgrade, Serbia. Army 2019 Forum – 25-30 June 2019, Patriot Park, Moscow, Russia. Warships & OPV Latin America – 26-27 June 2019, Rio De Janeiro, Brazil. Border Management North – 26-28 June 2019, Washington DC, USA. IMDS 2019 – 10-14 July 2019 – St Petersburg, Russia. Want to include your event in our list?